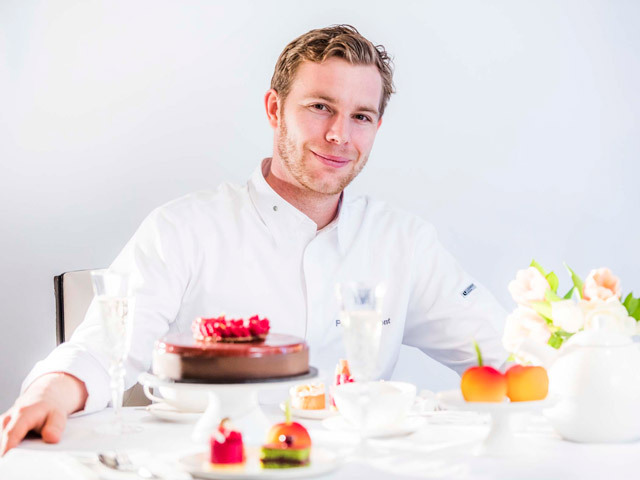 For a limited-time only, London's young gun of pastry, Paul Thiéblemont will add a British touch to Crown Conservatory's famed Afternoon Tea via his range of celebrated desserts. Paul's sought after sweet treats include a bespoke Battenburg Cake and Pear & Oryola that will sit alongside the Conservatory's existing savoury offering. Paul is currently Executive Pastry Chef at London's Mandarin Oriental – a hotel that is synonymous with Afternoon Tea. Previously, he worked as Second in Command for the 2009 World Champion of Pastry Jérome Langillier, and is currently global consultant to Weiss Chocolate.